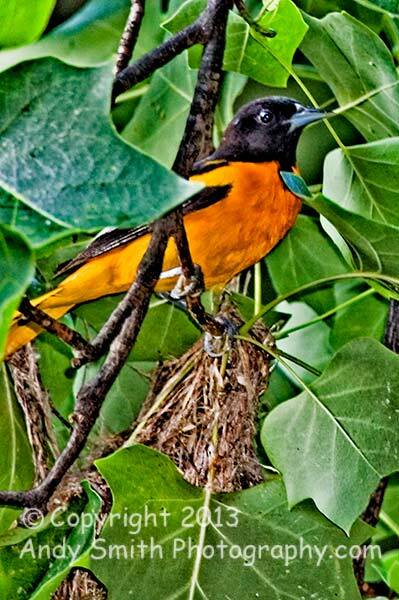 The Baltimore Oriole, Icterus galbula, likes to nest in the thick leafy confines of tall deciduous trees, often on a branch hanging into the open. The hanging nest is distinctive. This male has just delivered an insect to the young in the nest below him, located in Jenkins Arboretum, Devon, Pennsylvania.